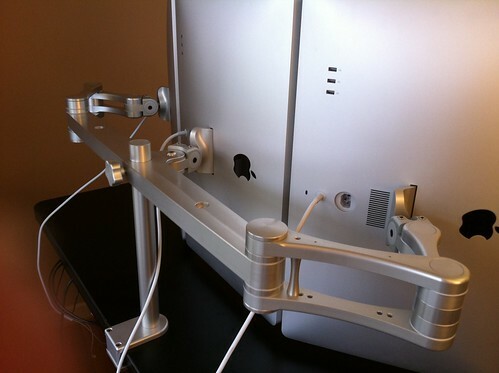 The best computer ergonomics products aren’t necessarily the most innovative. They will be modifications of common commodities for the work place. The following three items should be at the top of your shopping list when optimizing your office – they take some adjusting, but they won’t just make you feel better, but bring a fresh look to your desk. 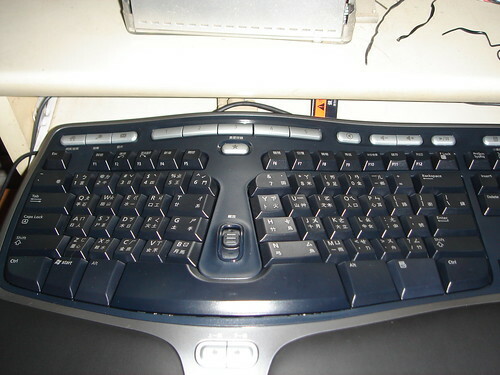 A fixed-split keyboard, these models alleviate strain on your wrists by allowing them to straighten out. 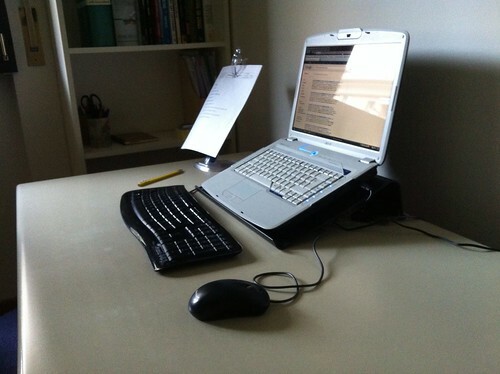 Instead of slightly bending your hands to line up with a common keyboard, this lets your arms come in from an angle, keeping your wrists straight and your tendons comfortable. The mouse is glued to your hand sitting at the computer. 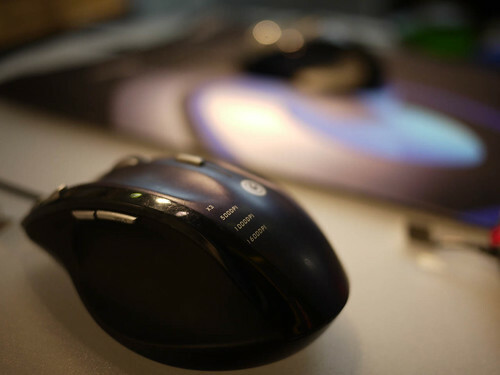 The idea with a vertical mouse is to keep your hand in a resting, untwisted position. You’ll notice from the picture that the angle is the same one your arm would be in for a handshake. This keeps everything aligned, again without any unnecessary bending – this time preventing downward angle rotation that, combined with the left or right twists from standard keyboards, can really create a workout for your tendons. Switch mouses get their name from their usability for right and left-handers. 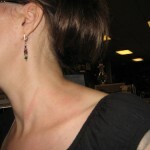 Strain is also caused by over-exertion by lefties on right-handed products. We covered this in an earlier article on good posture. 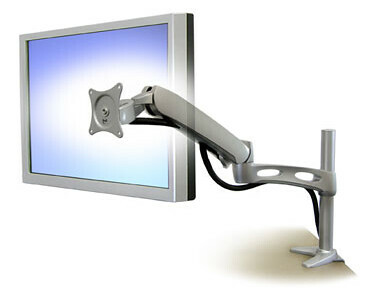 In this case, the computer screen should be eye level to protect your neck. It also might help to keep you more focused at work, considering how exhausted your eyes might get with the pressure on the muscles that control them. There are certainly more products to add to this list, but it’s at the core of your more ergonomically-minded office: the keyboard, the mouse and the monitor. Bear these in mind if you want your work to have more longevity and quality. These are all worthy investments.